Two of the country’s largest supermarket chains reported disappointing earnings Wednesday as evidence mounted that increased competition for Canadian consumers is beginning to take a bite out of profits. Loblaws reported a 29-per-cent drop in profits for the third quarter, and said its profit this year will be flat compared with 2012, the result of reduced margins as the grocery company focuses on winning over customers in an increasingly competitive marketplace. Metro, meanwhile, reported a 1.8-per-cent decline in same-store sales and cited “intense competition,” particularly in Ontario, for the decline. Loblaw and Metro stock dropped six per cent and five per cent, respectively, at the opening of markets Wednesday on the news. But what's bad news for the grocery chains is better news for consumers. Both the grocery giants have signalled they are cutting prices in response to the arrival of Target, whose department stores offer a selection of grocery items, putting added pressure on grocers. 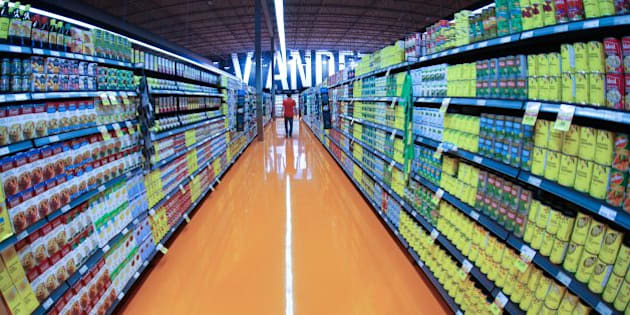 Walmart Canada has been ramping up its food selection, and most recently, Amazon Canada announced it would be selling dry goods through its website. Robert Sawyer, a former Metro exec, recently described the retail scene in Ontario as a “bloodbath,” the Globe and Mail reported. “Ontario is a pricing battlefield and Quebec is beginning to heat up,” the Globe cited CIBC analyst Perry Caicco as saying. Another sign the retail market in Canada may be getting saturated is Target Canada’s performance so far. The U.S.-based retailer, which this month is opening another 33 stores in Canada, has warned that it won’t turn a profit in its first year of operations, the Wall Street Journal reports. The company expects its Canadian operations to be a drag on earnings for the year. “Canadian shoppers failed to buy enough of the food and household items that prompt frequent trips,’ the Journal reported.